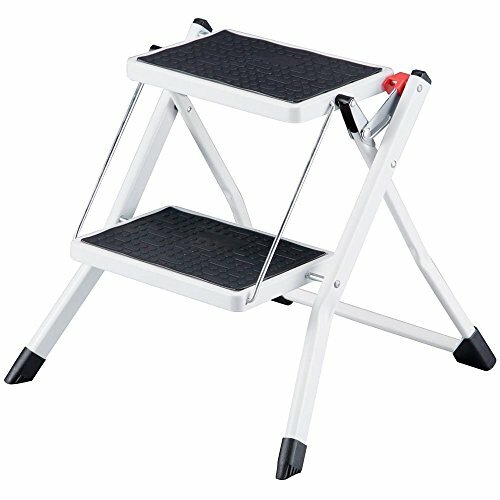 Crafted from sturdy from steel to ensure it is strong and long lasting, this useful product features non-slip treads ensuring extra safety and a hinged lock with a release button making this ladder easy to fold away for storage. Only 2" wide when folded its easy to find an place to store in the tightest of spaces. Non-skid Rubber Step Pads 12" x 8"